Palate: Remarkably balanced and smooth, evolving during the taste sensation. Mature aromas of dried fruit, vanilla, oak, and rancio. The finish is long, and ultimately satisfying, Anyone who enjoys a full body will love this Cognac. Sélection N° 1 is sold out (this was 2017, only 150 bottles available) but Sélection N° 2 is now available! Discover our second Sélection Edition. 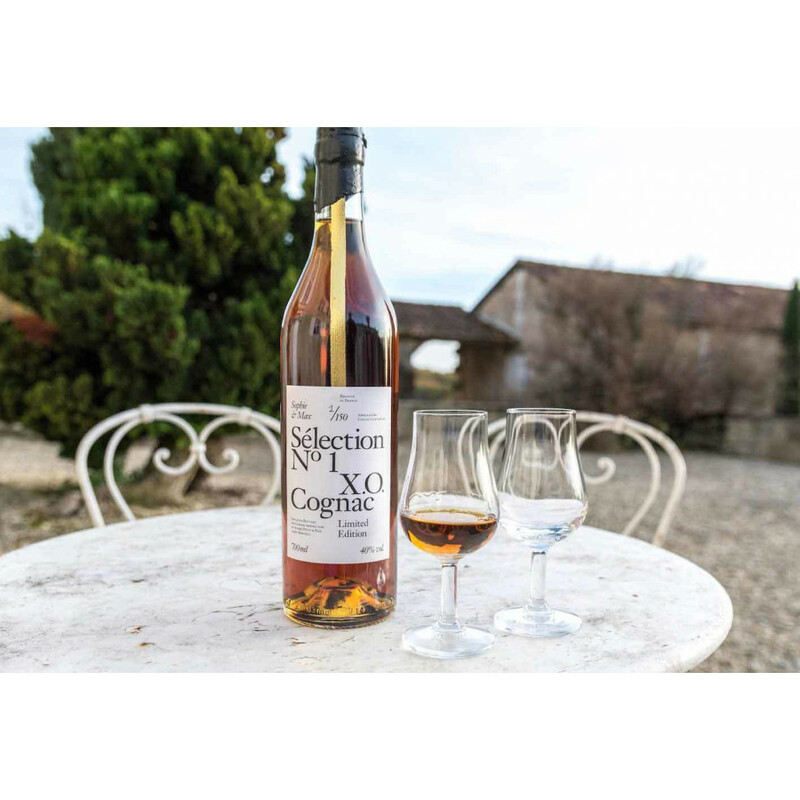 Sophie & Max Sélection Nº 1 is the very first Limited Edition Cognac produced by Cognac Expert. Sophie & Max partnered with their neighbor, Cognac producer Jacques Petit, to create an exclusive 150 bottle edition of this beautiful bottle. Sélection Nº 1 is a remarkable extra old X.O. 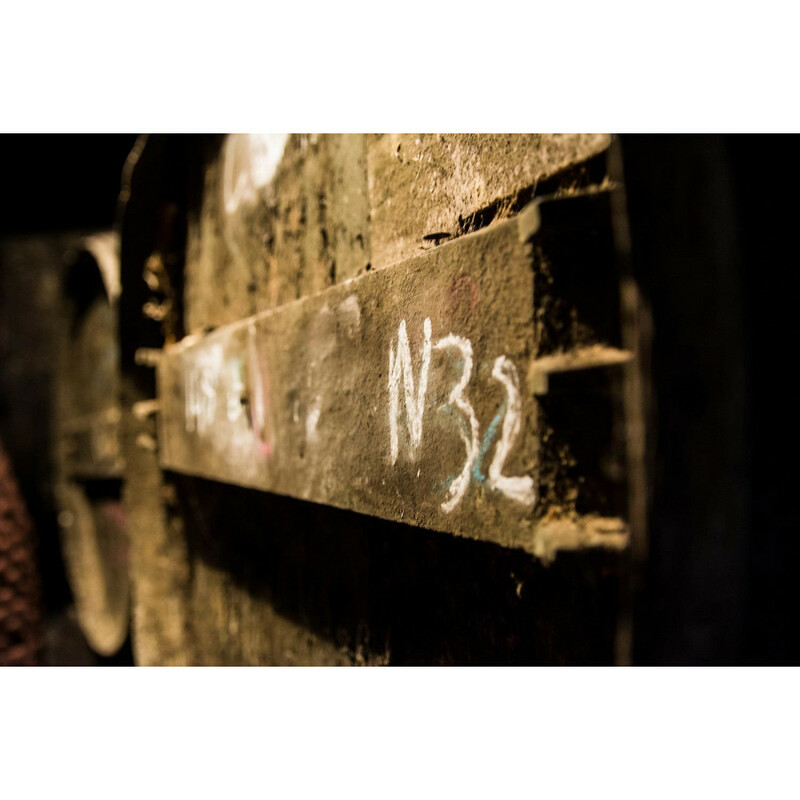 Cognac that has been aged in oak barrels for up to 25 years. 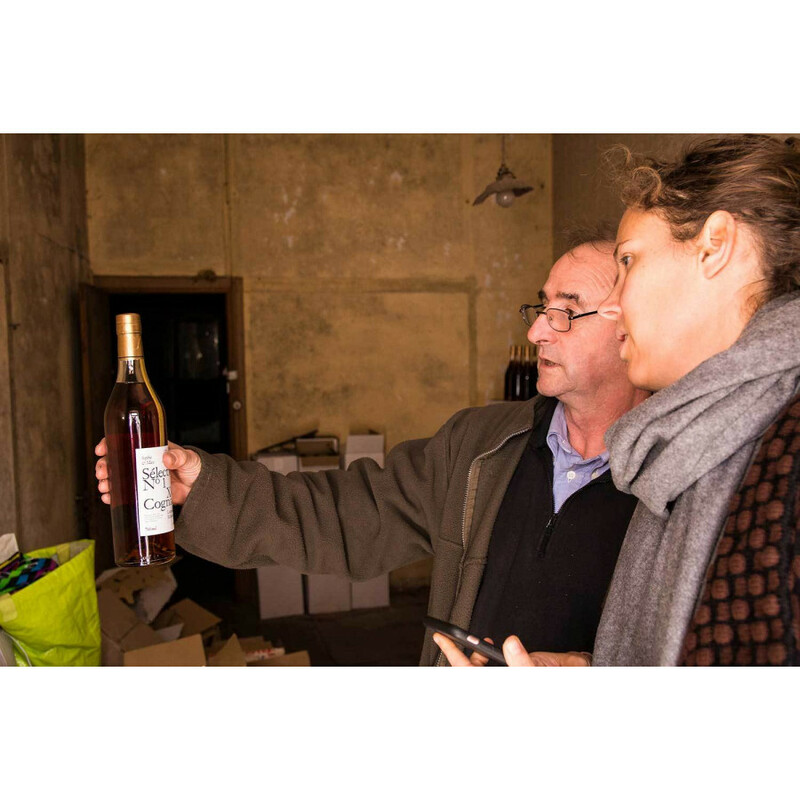 André Petit & Fils, the name of Jacques' Cognac house, is family-run to this day. Read all about our Limited Edition in our blog article. 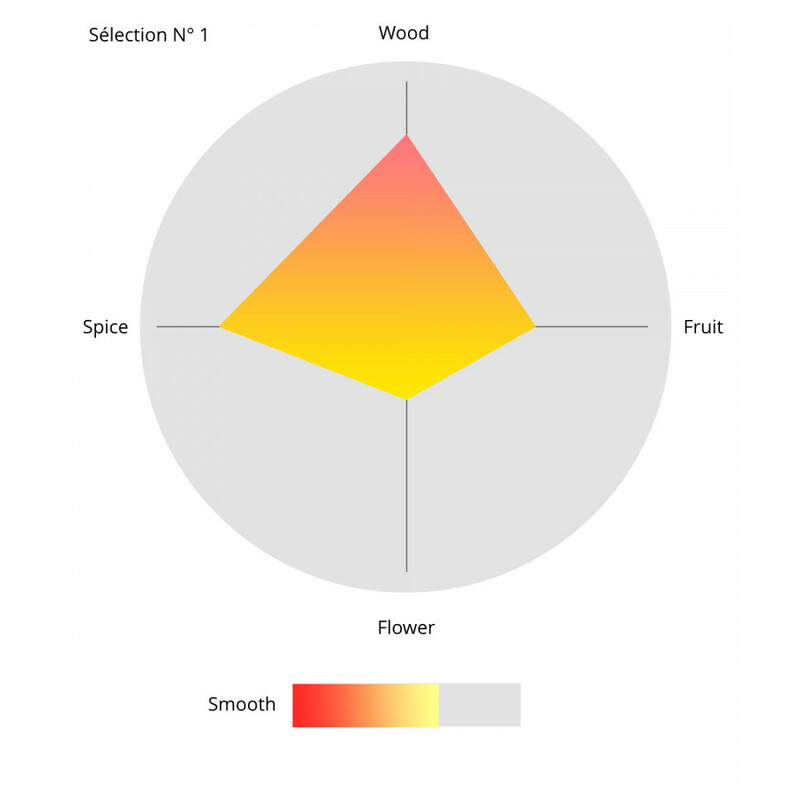 Sélection Nº 1 is blended with eaux-de-vies from multiple growth areas–the premium Petite Champagne, the Fins Bois, and the Bons Bois–to create a particularly balanced and smooth taste with aromas of vanilla, oak, and dried fruit. 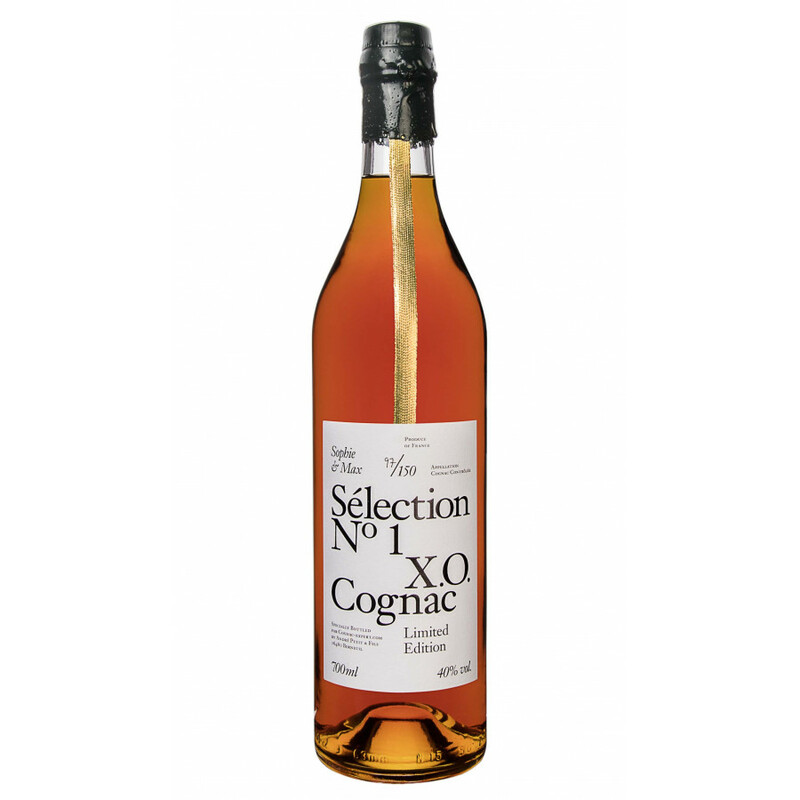 This is a wonderful Cognac to enjoy as a digestif after a festive holiday meal, or to accompany a decadent dessert. It is a tasteful gift that reflects elegance and understated chic. I finally tasted this cognac and was thoroughly impressed. On the nose, it’s great, candied fruits and slight aroma of vanilla. It has a well balanced taste and a super smooth finish. I love the bottle, struggled with the wax a bit, but I appreciate the craftsmanship behind it and that each one is unique. VERY GOOD COGNAC. 114/150. I need another bottle. Received my greatly anticipated bottle of Sophie & Max Selection No1, bottle numbered 120/150. I started with 2 ounces in a Schott Zwiezel Tritan Cognac glass. Pour presents a golden honey color. Initial nose of vanilla and leather with a bit of heat that eases. Taste is well balanced with a nice lingering finish. Wonderfully smooth but with enough character to appreciate the sophistication of the spirit. This is truly a great addition to my collection that I will be proud to share with others. I will not hesitate to add Sophie and Max's next Selection to my shelves. I’m sorry it’s taken me a while to get this review out to you, but I wanted to thoroughly sample Selection No. 1 before providing a review. After all, the Team put a lot of time, dedication, heart and soul into this project, and deserve more than a three sentence opinion. Let me start with my personal bias. I am a fan of Cognac-Expert, and suspected this wouldn’t just be a good cognac, but a special one. Sophie and Max likely wouldn’t have put their names on the bottle unless the cognac inside was truly singular. 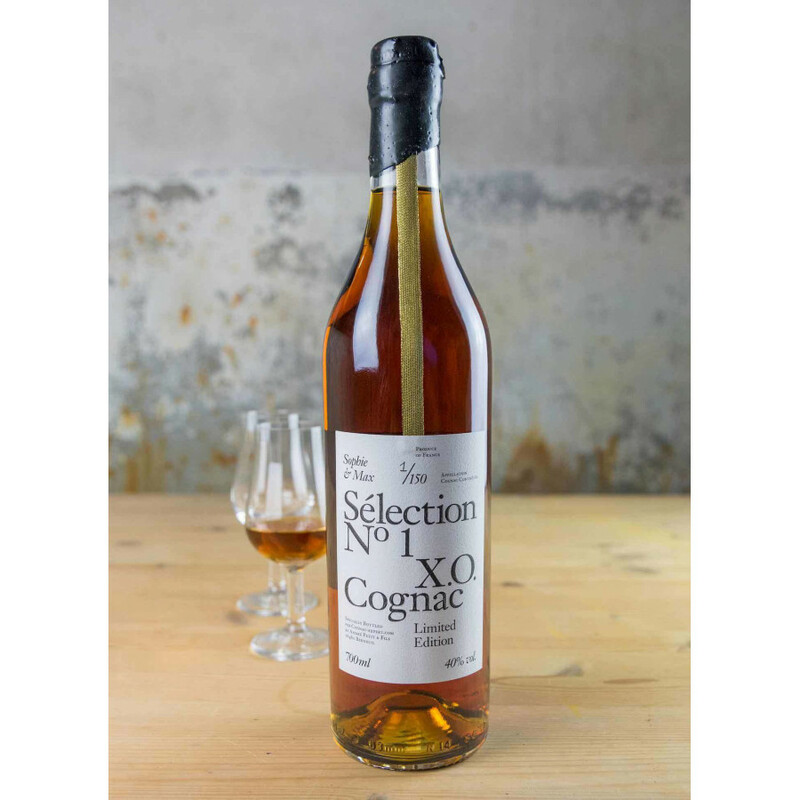 Cognac-Expert’s commitment to quality and total engagement with all things cognac was the red-carpet for this XO’s introduction. And, with Jacques Petit at the helm, I knew this would be a treat. I’m also a fan of small, artisan, handcrafted spirits. Yes, my cabinet has several big-name XO bottles within it, but residing alongside is an equal number of small-producer XOs. Another bias (sorry, genes at work) is that my palate tends to resonate most harmoniously with dark, layered XO cognacs, including Hennessy, De Luze, and Martell. A word about the bottle. I must admit, it took me a tiny bit to warm up to Selection No. 1’s contemporary styled label, juxtaposed to the (quite special) old-world wax treatment on top. Admittedly, it does whisper modern elegance, simple yet stylish, with a nod to handcrafted tradition. ~Well balanced, full-bodied with light wood and vanilla tones. ~Medium nose, not overly complex; smooth, lingering finish. this is such a great review - we really appreciate it! Obviously this is our own Cognac edition; so that's my clear disclaimer. I certainly like that our blend is from our neighbor, one of our longest friends in the cognac region and really authentic. We did several blind tastings to get where we wanted. Enjoy our first limited edition!